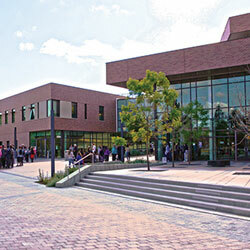 Poll workers are needed to help the Associated Students at Diablo Valley College run their student elections. This is a fundraising opportunity for the League as well as a way to work with students as they engage in governing themselves. How does LWV Diablo plan to help? We will be staffing elections on Monday, April 15 and Tuesday, April 16, from 9 am-7pm, and on Wednesday, April 17, from 9 am- 1:00 pm to do the ballot tally and certification. Volunteers can work in shifts, but at any given time during the election days we will need 3-4 volunteers at the DVC campus in Pleasant Hill and 2 volunteers at the DVC San Ramon location. To sign up for one or more volunteer shifts, go to https://www.signupgenius.com/go/409044FA5AA28A46-dvcstudent. What do poll tenders do? You will sit at the polling place, check student IDs, check names off the list, and hand out and retrieve the ballots. Poll workers also maintain order, including assuring that there isn't electioneering going on at the polls. In other words, we do very much what poll workers do at any other election. There will be a training the week of April 8, at the Pleasant Hill campus. At least one person per shift per location must have done the training. If you haven’t done this before, you will need to complete paperwork right away! Because DVC considers the poll workers to be temporary staff, you need to go through the full process to be on DVC’s payroll employee list (you will be paid, and volunteers usually donate the money they earn for this service). The hiring process includes an application form (it can be downloaded from the DVC website and printed, but must be signed and returned in hard copy to DVC personnel. That office is closed Mondays and Fridays.) You will also need to be fingerprinted and show your Social Security card or passport (RealID drivers license is not sufficient). To sign up for one or more volunteer shifts, go to https://www.signupgenius.com/go/409044FA5AA28A46-dvcstudent. Please respond directly to Martha at martha [at] goralka.com with your availability for doing the training. Todd Farr is our contact at DVC and can be contacted with questions regarding completing the employment paperwork: 925-969-4271.